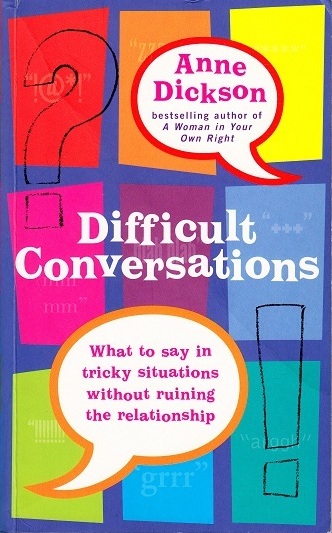 As the title suggests, the focus of this book is on tackling those difficult conversations that all of us – men and women – face initiating at some time in our lives. How, for example, do you communicate your irritation about a partner’s persistent habit or a friend’s behaviour without it all ending in a row? How do you criticise a colleague or junior without generating all sorts of regrettable repercussions? How do you tell someone you want to end a relationship or say no when you know this will cause disappointment? How do you inform a client or patient of distressing news without either being too vague or too abrupt and unhelpful? 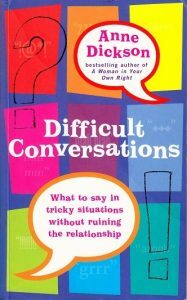 This books tell you how to communicate clearly in these and many others difficult circumstances – personal , social or professional – instead of letting things build up for too long and then resorting to an all-out attack. You can follow the guidelines described which are simple but extremely effective and find that situations that you thought were impossible, can actually be transformed.